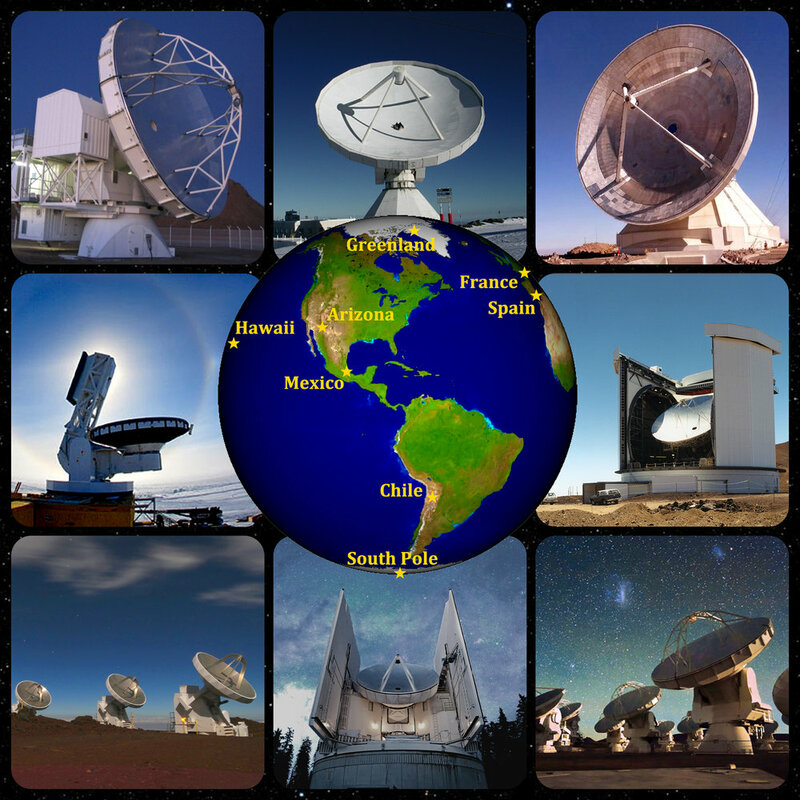 Ephemeris for Tuesday, September 18th. The sun will rise at 7:25. It’ll be up for 12 hours and 21 minutes, setting at 7:46. The moon, 3 days past new, will set at 8:58 this evening. Look to the south southwest at 10 p.m. At the constellation of Sagittarius, which looks like a teapot. It’s located at the south end of the Milky Way. Just off the spout of the teapot lies, beyond the clouds of stars, gas and dust, at a distance of about 27,000 light years, the center of the Milky Way. The center contains a 4 million sun mass black hole with a bevy of stars orbiting around it like planets orbit the sun. Black holes are so massive that, nothing, not even light can escape their gravity. Lots of energy is released by matter falling in to a black hole. Currently our Milky Way’s black hole is quiet, nothing of note is falling in. However there is a cloud of gas and dust approaching the black hole, so its quiet phase may end next year. 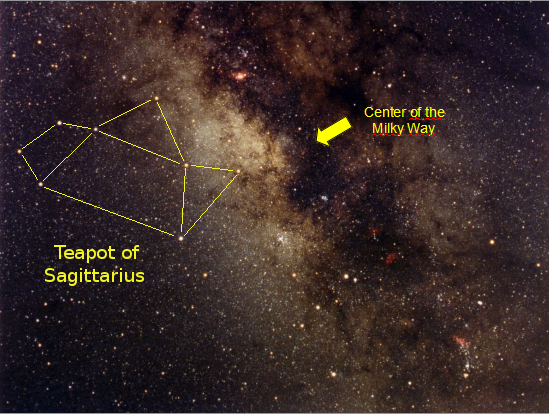 Location of the center of the Milky Way and the Teapot of Sagittarius. While the actual center of the galaxy cannot be seen in optical wavelengths it is visible in radio, infrared and x-rays. The black hole at the center of the Milky Way is designated Sagittarius A* (pronounced Sagittarius A Star). Check it out in Wikipedia and other sources.